By the standards of many of the classic cocktails the Margarita is a baby. 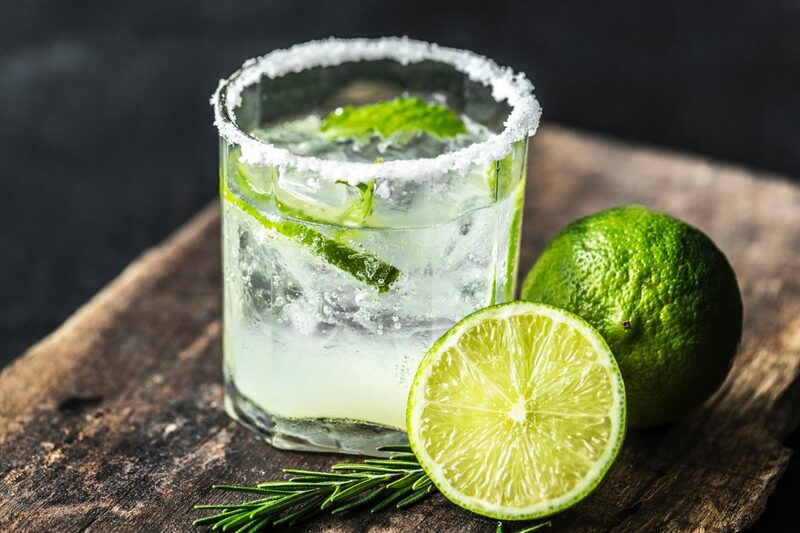 The first known published recipe for it is found in the December 1953 Esquire magazine though the drink can find its roots earlier in other tequila drinks. Whether you go with Triple Sec or Cointreau is a personal taste. You can of course try it with other fruits too; I’ve even had versions that go down the lemon root rather than the lime and orange of the traditional, but that recipe isn’t mine to share here. When it comes to serving, use a standard cocktail glass, or if serving on the rocks, use an Old Fashioned glass. Wet the rim of the glass and role it through the salt. Then in a cocktail shaker place all the remaining ingredients. Secure the lid and shake well for about 20-30 seconds, then strain into the glass and enjoy your Margarita.